What are these works? 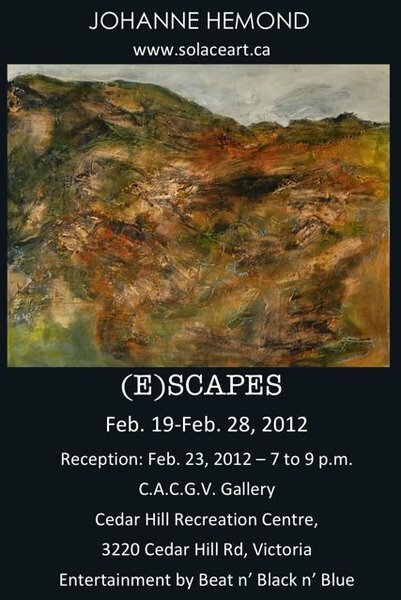 First and foremost, they are “scapes.” Not only landscapes, but also configurations of Johanne Hémond’s interior world. To enter into her paintings is to explore a realm inspired by equal parts emotional resonance and site-specific geographies and geometries. Nearly the entirety of two walls of Hémond’s most recent exhibit at the Community Arts Council of Greater Victoria (CACGV) gallery are consecrated to scenes inspired the natural world. The third wall extends beyond the physical to an environment inhabited uniquely by mood. In total, a remarkable 27 paintings are displayed. 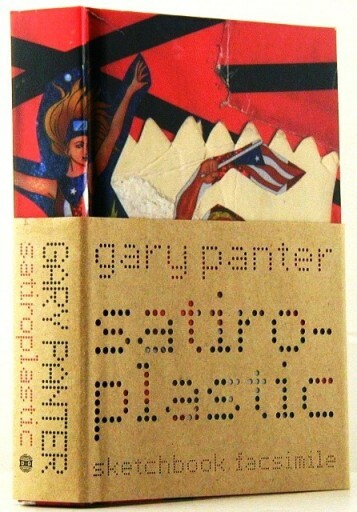 The opening pages of Gary Panter’s Satiroplastic (Drawn & Quarterly, 2005) include sketches made while Panter was in Oaxaca, Mexico. In the introduction to the book Panter explains how the sketches are not chronologically ordered. Each time he did a drawing, he opened the book up haphazardly to a page and began drawing; further evidence of Panter’s random-abstract brilliance.